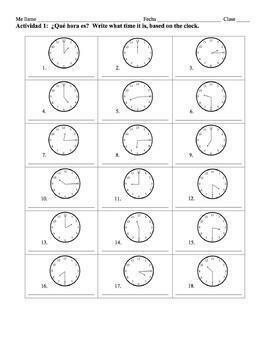 This is a PDF with 2 pages of writing activities for students to practice time on the hour, quarter, and half hour. An answer key is included. 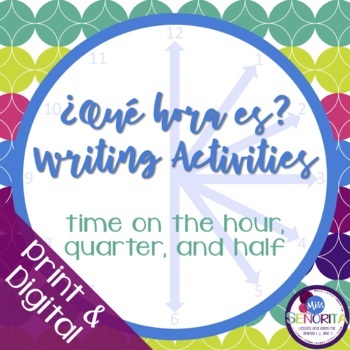 These activities are included in my Spanish Time Lesson - on the hour, quarter, and half hour.